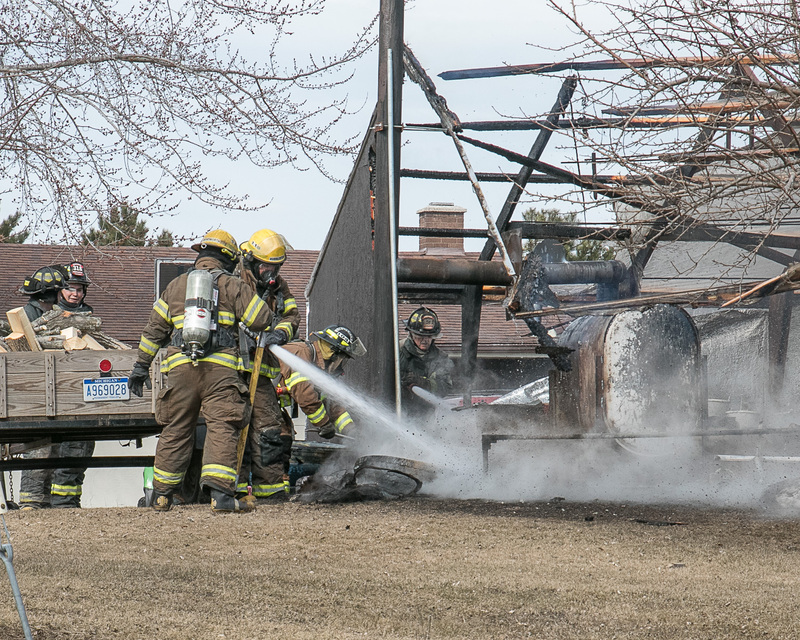 A call for a vehicle fire at 1897 E. Stockwell Road, came in at 4:29 pm on Saturday, April 11. 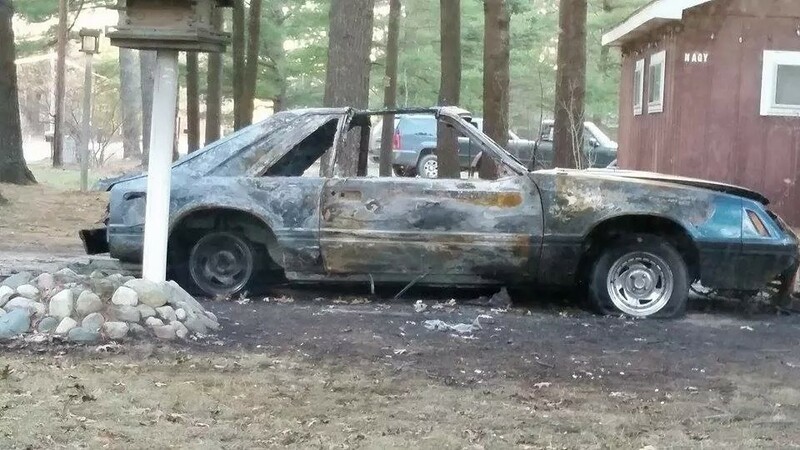 The event was phoned in by a neighbor. Clare County Sheriff Department was the only other on scene to assist with traffic control. The 2015 DAR Good Citizens, pictured left to right: Julia David of Clare, Kathrine Saupe of Farwell and Wyatt Duggan of Harrison. Not pictured DAR Good Citizen Chairman, Kathleen Lofton. 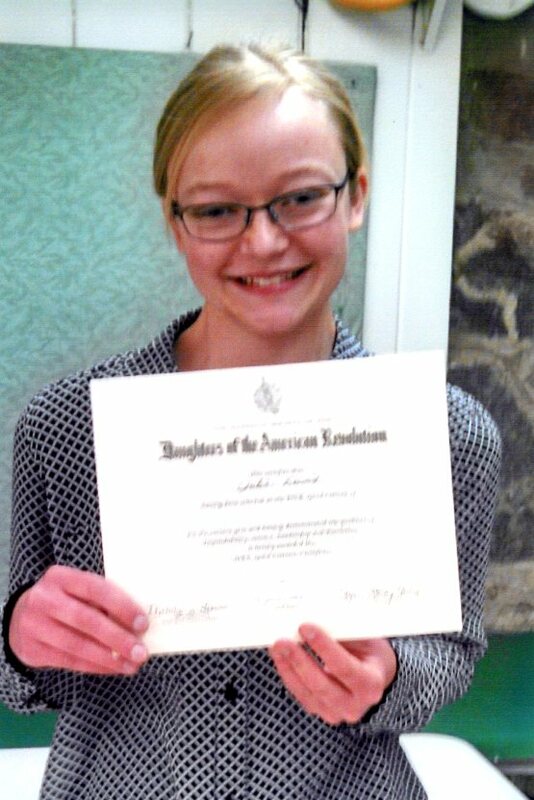 The Michimilimacinac Chapter was pleased to honor three students at their Daughters of the American Revolution Good Citizens Tea, March 22, 2015. 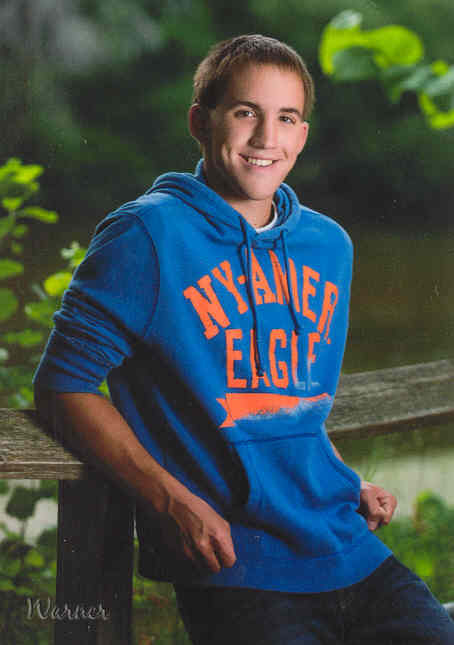 We had a tie in our Chapter winners: Julia David of Clare and Wyatt Duggan of Harrison. Kathrine Saupe of Farwell was just 1 point from it being a 3 way tie. These students deserve so much credit for all they are doing and have done, not only in their school, but also in their homes, communities and churches. This distinct honor adds to their college resume and helps with college admission and job interviews. The chapter gives the students and school publicity. The school gains prestige and the community learns that there are exceptional young people in Michigan, and right in their own community. This is truly special because the school teachers and classmates chooses one of their best and gives the DAR the privilege of honoring them. All are presented with certificates & a gift of money. Guest speaker was Kathleen Weller. Special Music by: Marge Lamkin, Arlene Robertson, Susan Lamkin, Sandi Bateman, Karen Chalmers and Anna Schwarz. From left to right: Clare County Animal Shelter Director, Rudi Hicks accepting the $433.00 check from Country Flowers Co-Owner, Gayle Giusso; Country Flowers Co-Owner, Karen Wilson, holding shop dog, Blue and Animal Control Officer, Bob Dodson. 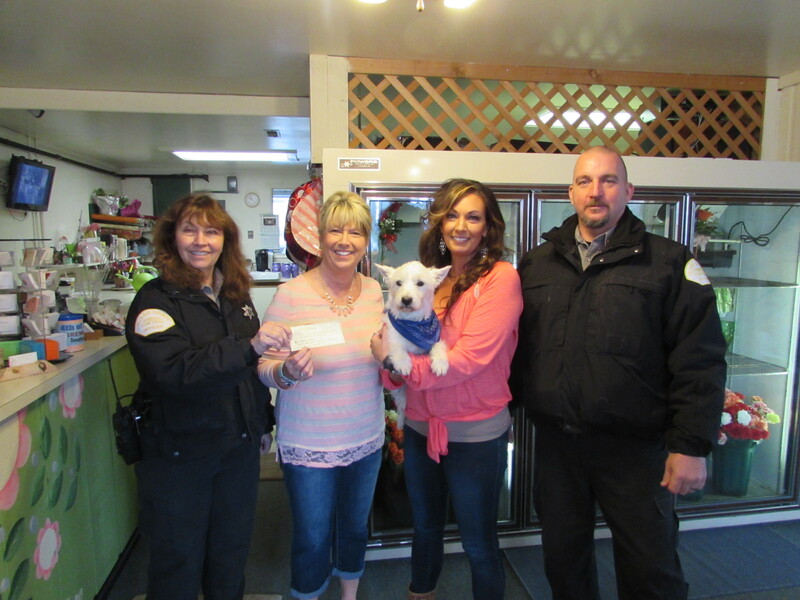 Animal Control Officers, Rudi Hicks (far left) and Bob Dodson (far right) received a check for $433.00 from Country Flowers and More owners, Gayle Giusso (middle left), Karen Wilson (middle right) and her dog Blue, Monday morning. The ladies of Country Flowers raised funds for the Clare County Animal Shelter by selling “Blue’s Special Bouquets” through the month of March. 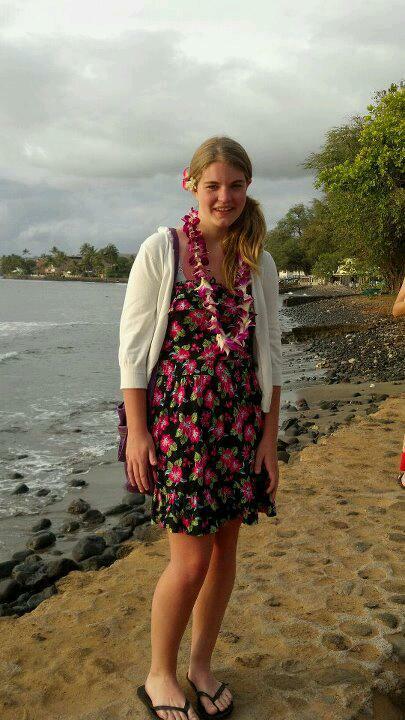 Wilson said that they sold a total of 46 bouquets, which contributed $5 from each bouquet, raising $230. The rest of the $433 was raised by additional monetary donations from the community and Country Flower’s customers. The ladies also had a few bags of dog and cat food that had been donated for the shelter pets. Along with the bouquets the ladies also sold delicious candies made by Sweets & Treats to help raise a few more dollars for the shelter pets. Chocolate covered Oreos and white chocolate discs with Blue’s likeness on them for sale to help out Blue’s pals at the shelter. “(Sweets & Treats) did a great job,” Giusso said. Wilson and Giusso are planning on bringing back the Blue’s Special fundraiser for the shelter next March. On 04/01/2015 at approximately 11:13 p.m. Clare County Central Dispatch received a call of a Domestic Assault within an apartment complex located on Richards Drive within the City of Harrison. Responding deputies arrived to the apartment and found that a 22 year old Harrison woman had been physically assaulted by her 24 year old boyfriend. The 24 year old Harrison man was arrested and lodged in the Clare County Jail for Domestic Assault / Attempted Criminal Sexual Conduct. 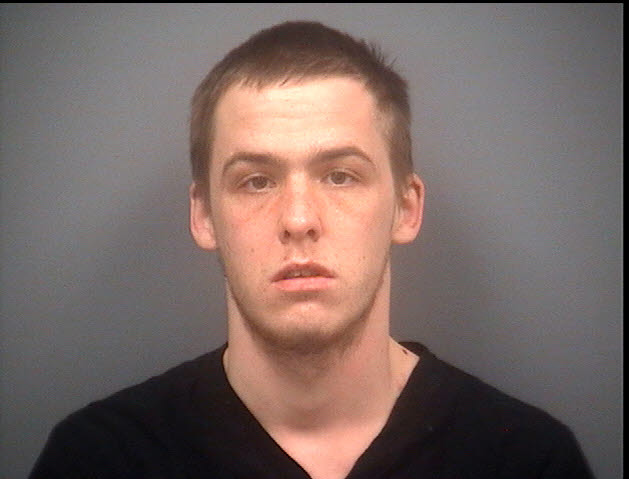 On 04/02/2015 The Clare County Prosecutor’s Office charged Joshua Davison with: Assault by Strangulation; Assault with intent to do Great Bodily Harm Less Than Murder; and Attempted Criminal Sexual Conduct-3rd Degree – Force or Coercion. Mr. Davison was arraigned by Magistrate Karen Willing in 80th District Court and his bond was set at $150,000 cash. Mr. Davison remains lodged in the Clare County Jail. 10:40 a.m. Clare County Central Dispatch received a call in of a fully engulfed structure fire at 6187 Browns Road, Clare, from a neighbor. Harrison Fire Department was dispatched out at 10:40 and Clare Fire Department was called in at 10:43 to assist with the blaze. Upon arrival it was determined that the only structure on fire was the greenhouse located on the property. 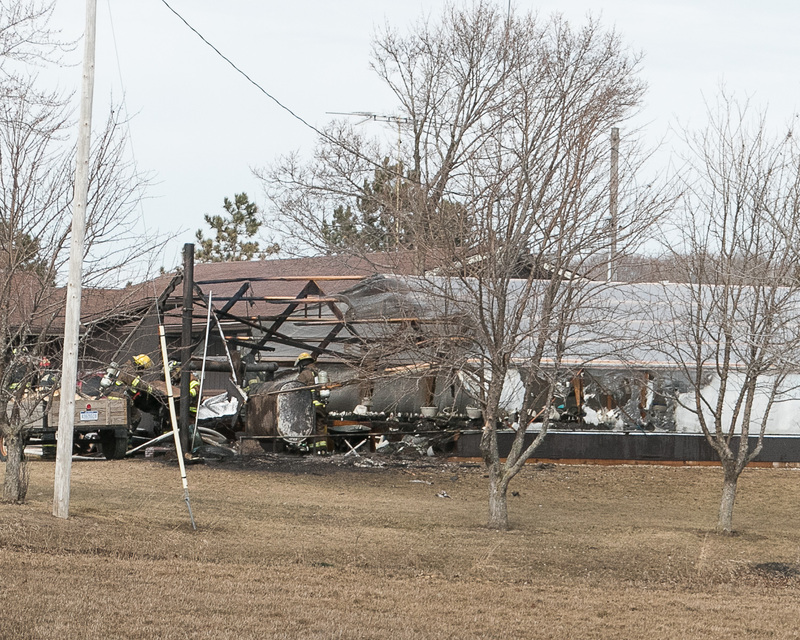 Captain John Loy of the Harrison Community Fire Department said that in his opinion, there was only minor damages caused to the front wall of the green house and a few of the trusses. The departments and MMR were on scene by 10:59, reported Dispatch Supervisor, Thomas Brubaker. Once on scene, it was a quick sweep to get the blaze under control. Brubaker said that they scene was cleared by 11:07 that morning. No other property was damaged and the Harrison Community Fire Department is calling the cause undetermined, but Loy said that it was apparent that the blaze started somewhere near the wood stove located in the greenhouse. 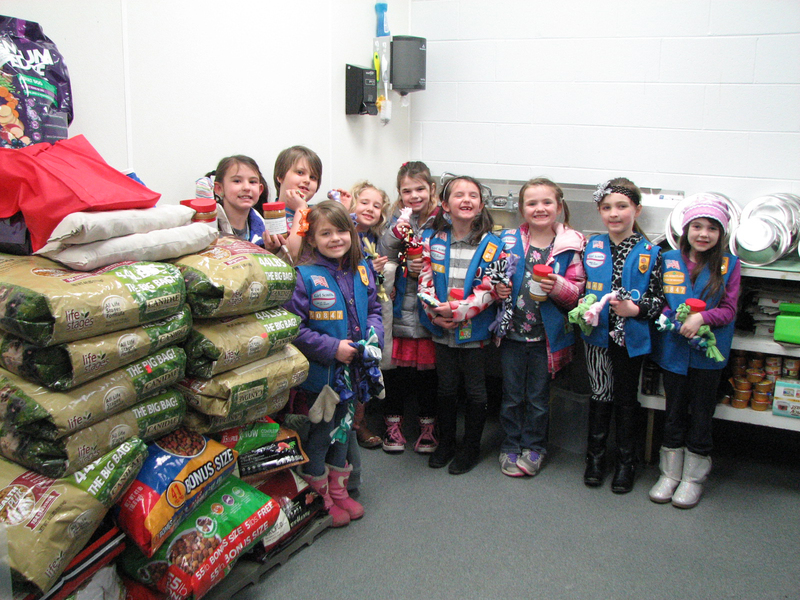 The Daisy Troop standing with their mountain of donations to the Clare County Animal Shelter. 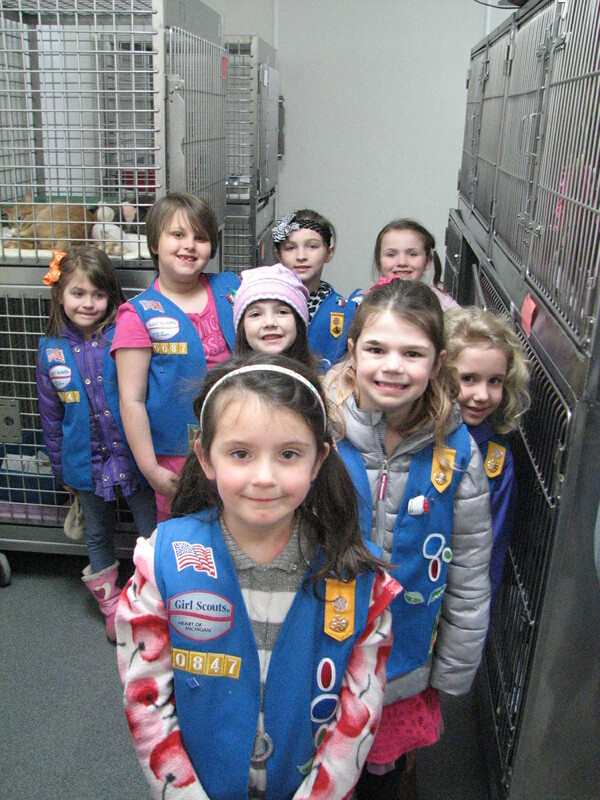 Girl Scout Daisy Troop 50847, out of Harrison, paid a visit to the Clare County Animal Shelter on March 25, 2015. The girls arrived with plenty of items that would put a smile on any animal’s face! The girls prepared last week by making dog toys, cat nip pillows and cat kickers. Each Girl Scout learned the value of hard work when they were able to present their handmade items, made from recycled goods, to the animal shelter. The Girl Scouts collected liquid laundry detergent, peanut butter, dog‑ cat‑and kitten‑ food. The troop generously donated kitten food and scoopable cat litter as well. The Daisy troop completed an educational journey titled, “5 Flowers, 4 Stories, 3 Cheers for Animals” which focused on learning to care for animals and themselves, to use their new knowledge and creativity to teach others how to care for animals and lastly, gaining courage and confidence in teaching others about animal care. 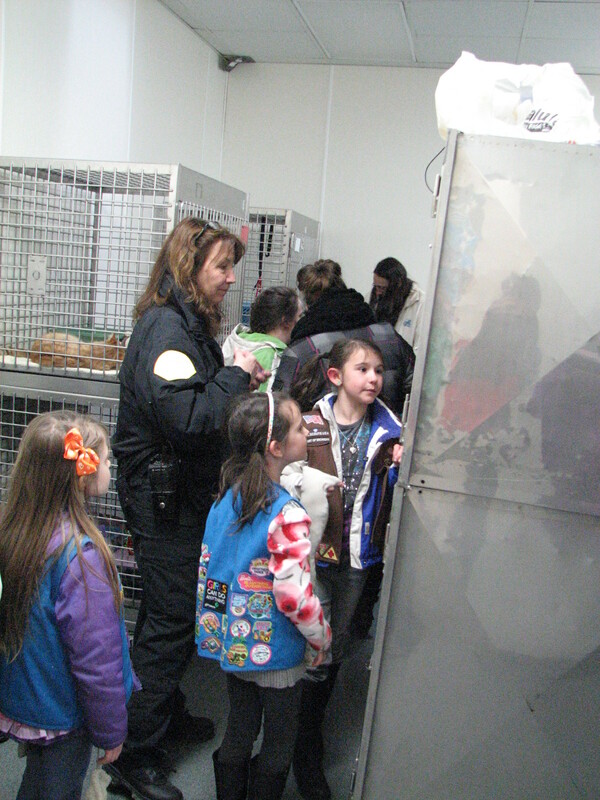 Their visit to the Clare County Animal Shelter was the finale for them! If you are interested in becoming a Girl Scout, visit http://www.gshom.org for more information. Troops are forming in your area now! Girl Scouts began Girl Scout week by participating with Girl Scout Sunday on March 8, 2015. 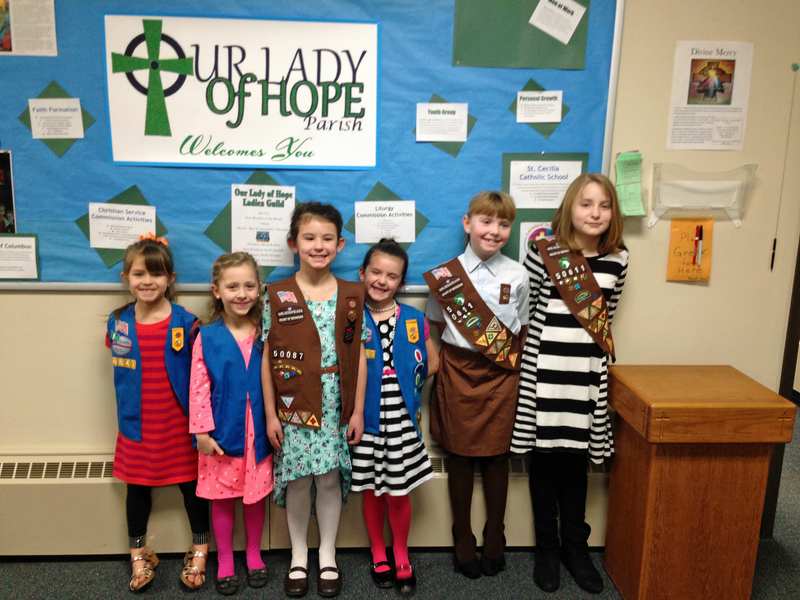 Girl Scouts from Harrison Daisy Troop 50847, Harrison Brownie Troop 50087, Clare Daisy Troop 50848 and Clare Brownie Troop 50611 attended Our Lady of Hope Parish in Clare where they were greeters and assisted with the children’s collection. The Girl Scouts were recognized by Father Prentice Tipton. Visit http://www.gshom.org for information on how to join!